The year of the Fire Rooster will be a reprieve financially and physically for most of us. The damage brought on by 2016’s Fire Monkey was unimaginable in 2015 and I’m pretty sure this year will hold as much if not more of the unimaginable but it shouldn’t hurt quite so bad. The Rooster is the animal in the yard that demands attention and it is the only animal in the Chinese Zodiac that has a gender. I think 2017 will be a lot of male feathers ruffling and loud crowing in varied attempts to gain our attention. There will be some good shows this year I imagine so those who pay attention to the right areas will be greatly rewarded with at least memorable experiences. 2017 happens to be a very good year for making money, not because of the Rooster but because of the qi pattern inherent in every building in the world, so my advice for 2017 is pay attention and go with the flow to reap the benefits of what the Fire Rooster has to offer. 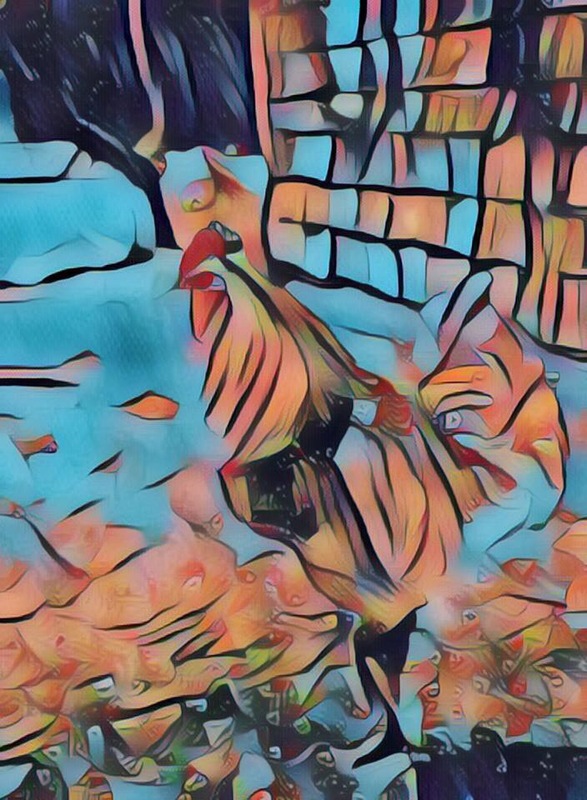 I invite you to google “Rooster Drawings” to see images that depict the many facets of the Rooster for a better picture of what 2017 is bringing. My last piece of advice is to schedule an appointment with a flying star feng shui practionioner, like myself, so that you can get what you want out of the year ahead.